Although you might swear by YouTube makeup tutorials using only the latest, there are so many vintage makeup gems out there that can deliver the same results – if not better! With their glowing skin, tumbling curls and perfect pouts, vintage beauties like Elizabeth Taylor, Marilyn Monroe, and Audrey Hepburn are still the envy of women today! Here are 8 vintage beauty tips that still work today! Why do we love vintage so much? Retromania, they’re calling it. Perhaps it’s because if something is vintage, it has already stood the test of time. When we have or use something vintage, we’re continuing its story and adding to it. We live in a world of high volume and low quality, so maybe we’re just on a search for something better. Whatever the reason may be for loving, vintage is beautiful and timeless. 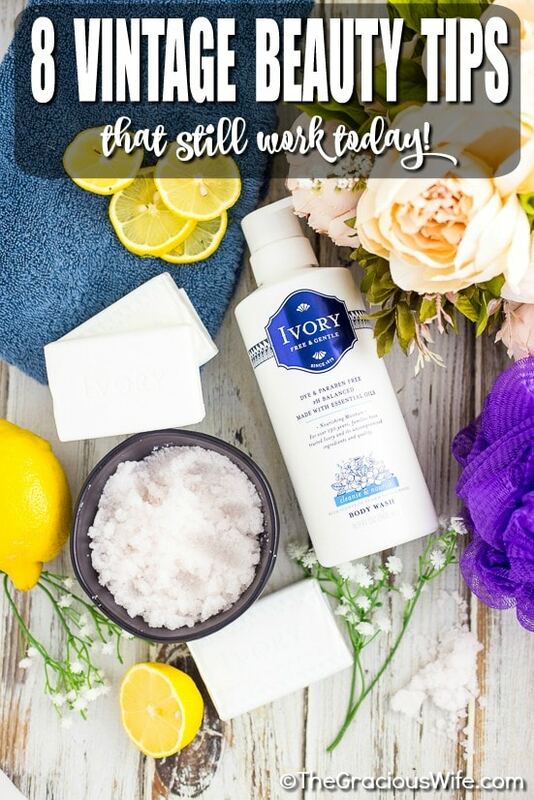 I’m excited to partner with Ivory, a heritage family brand dating back to 1879, to share these 8 vintage beauty tips that still work today. 1. Whiten teeth with baking soda. Back before whitening strips and specially designed toothpastes, people whitened their teeth using a simple ingredient that everyone has stocked in their kitchen. Baking soda! To use it today, make it into a paste by adding a teaspoonful of baking soda with a few drops of water and brush over teeth. Add a drop of peppermint oil to give it a fresh flavor. Use 2-3 times per week after brushing for full effect. 2. Condition your hair with olive oil. Our modern version of this would be leave-in conditioners. Olive oil is natural and has the same effect. After washing your hair as normal, lightly coat the ends in olive oil by putting a few drops in your hands, rubbing them together, and then running it through your hair. You can leave it in as a leave-in conditioner, or rinse it out. 3. Create tumbling curls. Women used to get creative about curling their hair back before curling irons and hot rollers, even using scrap fabric to wrap their hair around for curls. You can achieve beautiful curls today too, without any heat. The easiest way to do this is simply by putting your hair in a bun while hair is damp (but not wet, because it will take way too long to dry!) and leaving to dry overnight. If you have trouble styling a normal bun, you can try a sock bun, where you use an old clean sock to wrap your hair into a bun while damp, and then let dry overnight like a normal bun. Either way, you’ll have beautiful bouncing curls in the morning. 4. Stick to simple make up. There’s a heavy makeup trend these days, but the vintage pin-up girls that we know and love were beautiful because they let their natural beauty shine. To achieve this look, stick to making one feature pop, and not over-doing it with everything else. Traditional vintage pin-up girl makeup usually includes a red lip and lighter eyes (lined with mascara). Not only does this simple makeup look classically beautiful, just think of all the time you’ll save by not working on all that contouring! 5. Exfoliate with salt or sugar. Exfoliation is important for a pretty complexion. Back before spinning exfoliating brushes and microdermabrasion, sugar or salt were used to exfoliate the skin. Just wash the desired area, grab a handful of sugar or salt, and scrub! Rinse for silky smooth skin! A word of caution: if you have any cuts, including acne or hangnails, you may want to stick to sugar for exfoliating as the salt could make your cuts burn a little. Ouch! 6. 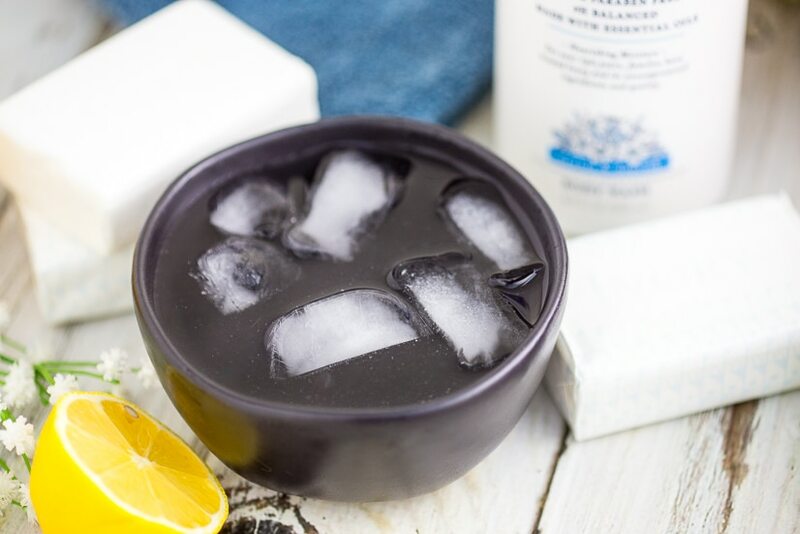 Reduce puffiness with ice water. Joan Crawford famously said she splashed her face with ice cold water 25 times every morning to keep her face smooth and her skin tight. While ice water doesn’t necessarily have anti-aging properties, it is very effective at reducing puffiness (even and especially around the eyes!) and shrinking pores. Give it a try after you’re done washing! It’s also worth mentioning that using cold water on your hair to keep it shiny was also part of the old beauty routines! 7. Protect natural skin from the sun. Celebrating your natural skin color by protecting it from the sun is a retro tip that’s still important today. Women used to carry a parasol to protect their skin from sun. Today we can (and should) protect our skin, no matter our skin tone, with high SPF (broad spectrum UVA and UVB) to protect from harmful UV rays. 8. Cleanse. A flawless complexion is the most vital part of creating the vintage look. And I’m not talking about covering your imperfections with foundation! 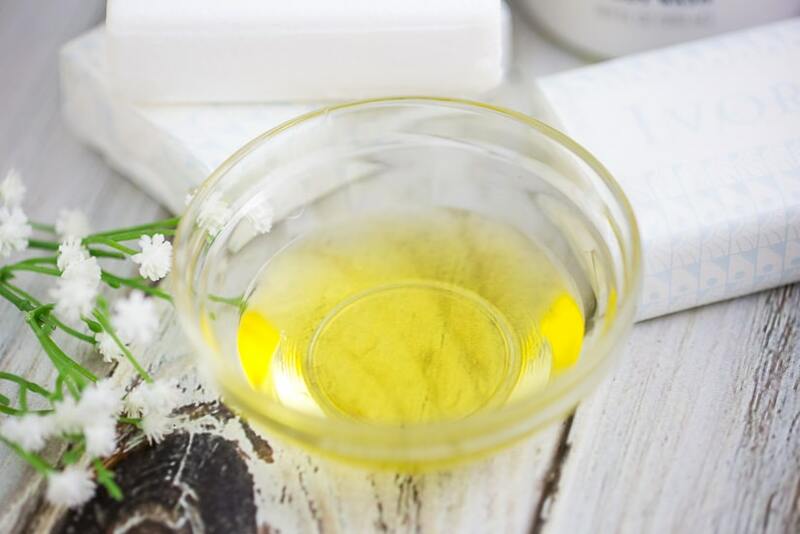 Taking great care of your skin was of paramount importance – but without all these modern day face creams and cleansers, just how did they do it? Simple. 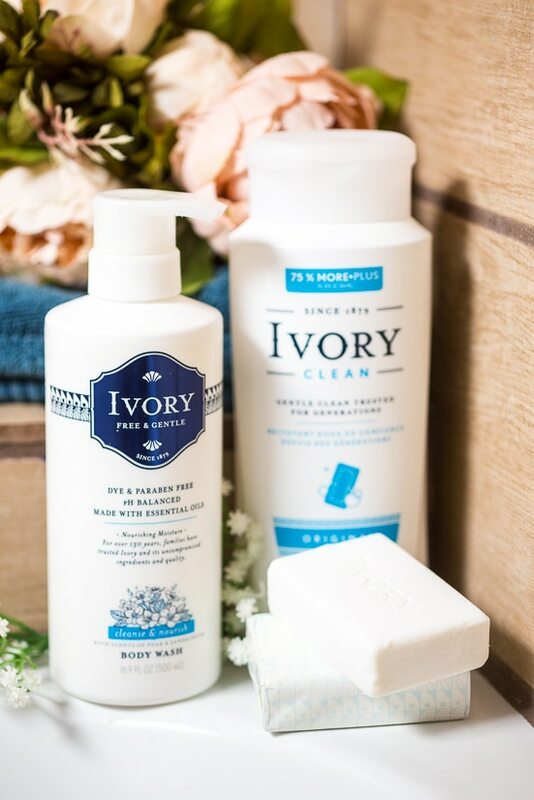 Gentle, pure clean soaps, like Ivory, and water. 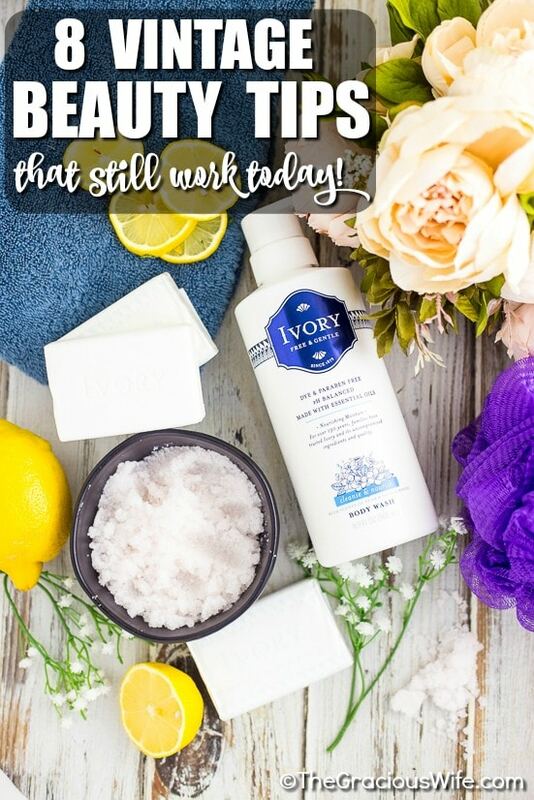 Ivory soap is a trusted brand that dates back to 1879. It is free of dyes and uses pure ingredients. 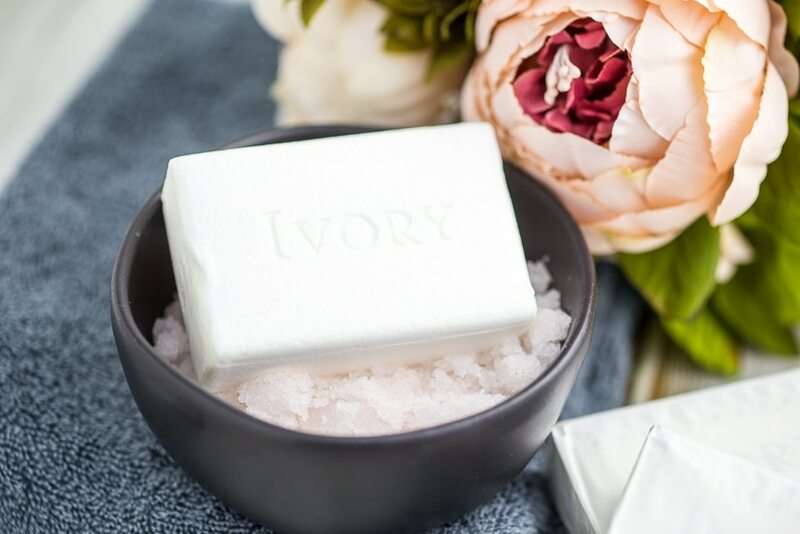 In fact, Ivory has created soap that is 99.44% pure for 138 years! Generations! As a matter of fact, when I told my dad what I was working on writing this week, he got very excited to share his own stories about using Ivory at bath time when he was little. 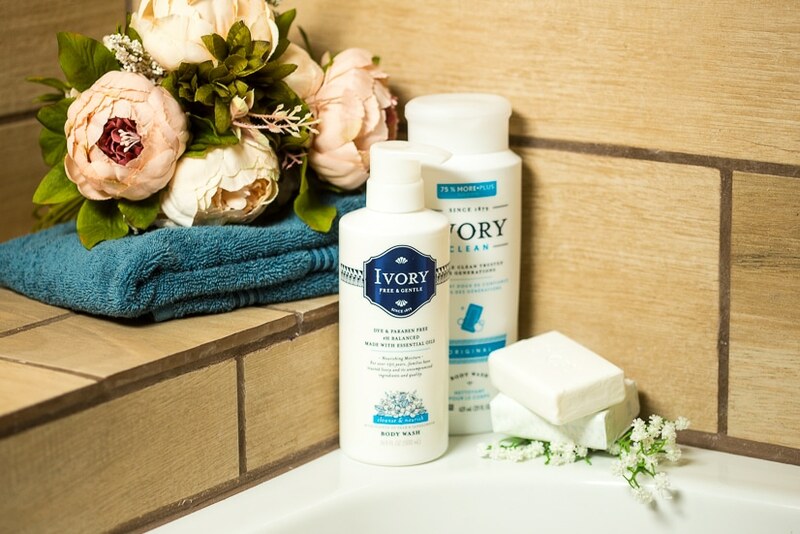 Ivory has come to be known as a gentle clean soap that families can trust. 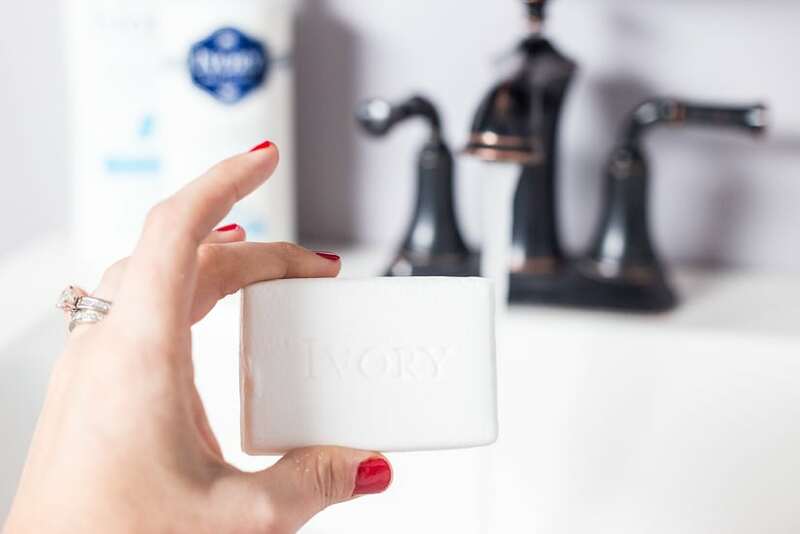 Ivory Original 3-bar – This bar soap is free of dyes and heavy perfumes, and it’s my personal choice for face washing (but you can use for body washing, too, of course!). I’ll just suds up my face with a little bar soap, then rinse off and do a little exfoliating with a washcloth. 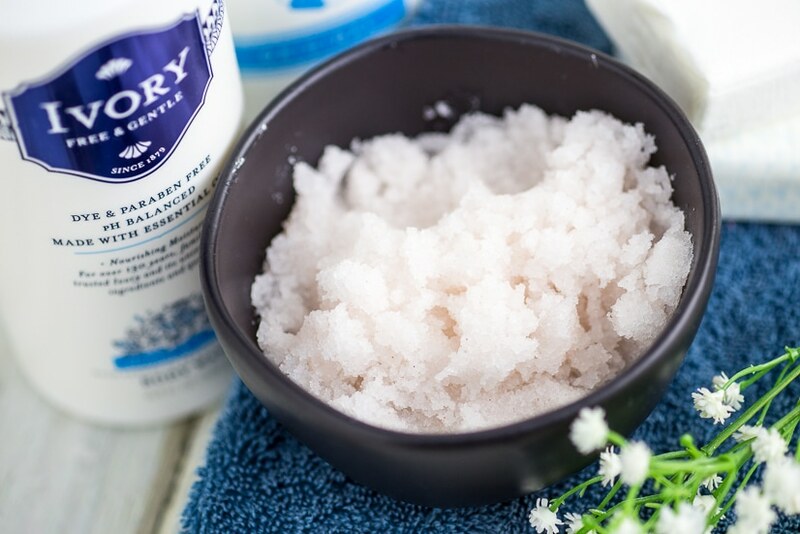 Ivory Original Body Wash has a new gentle formula, which is free of dyes and heavy perfumes. It’s gentle for sensitive skin, and trusted for generations. The body wash is my kiddos’ favorite because it’s easiest for them to use. They like that it’s easy to squirt a little soap on their washcloth or pouf, and they don’t need my help to do it. Ivory Free & Gentle Body Wash with Pear & Sandalwood smells amazing! It’s a definite must use if you want to feel a little luxurious, and it’s still free of dyes and parabens. Plus, it includes the #1 Dermatologist Recommended moisturizing ingredient. It is formulated to cleanse and nourish skin with the scent of pear and sandalwood. If you want that classically beautiful Hollywood glamour look, it’s best to follow the same retro beauty routine and taking care of your skin and complexion with these 8 vintage beauty tips that still work today.